When Helicity Dunlap flies to Texas to spend time with her best friend Mia, she hopes to leave the tragedies of the devastating tornado and flash flood back in Michigan—at least for a little while. Her responsibilities at Mia’s Aunt Suze’s beachfront bed and breakfast are pretty simple and leave her lots of time to enjoy hunting for sea glass, sunbathing, and exploring a summer romance. 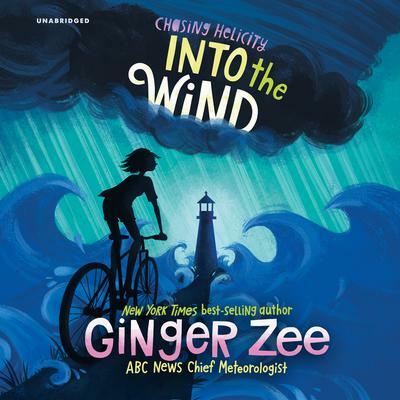 But Helicity comes by her name honestly—helicity means to spin—and her troubles from home follow her south. Her concerns about her older brother Andy intensify—even though he shows up to surprise her in Texas. And if there’s one place in the world that has weather to rival Michigan’s, it’s Texas. She and her friends go out for a day sail and get caught up in a derecho—a line of intense, widespread, and fast-moving windstorms that once again turn her boat—and life—upside down. She’ll have to face her fears and muster all her strength and knowledge to fight her way out of the nightmare. 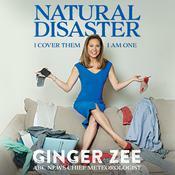 Ginger Zee is Good Morning America’s chief meteorologist, reporting on the nation’s weather throughout the morning broadcast. 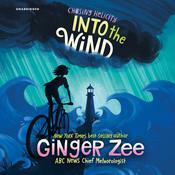 Since joining ABC News, Zee has covered almost every major weather event and dozens of historic storms. She broadcasted from the devastated Jersey Shore during Hurricane Sandy, the Colorado floods and wildfires, and covered the wreckage from tornados in Moore and El Reno, Oklahoma. 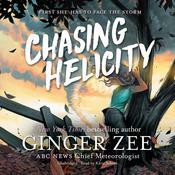 Zee’s love of adventure does not stop at studying the atmosphere in the center of the storm. She para-hawked in Nepal, para-glided in the Himalayas and the Andes, dove with sharks in the Bahamas, rappelled twenty-seven stories down the exterior facade of the Wit Hotel in Chicago, and has gone ice-boat racing and surfing. She lives in New York City with her husband and son.